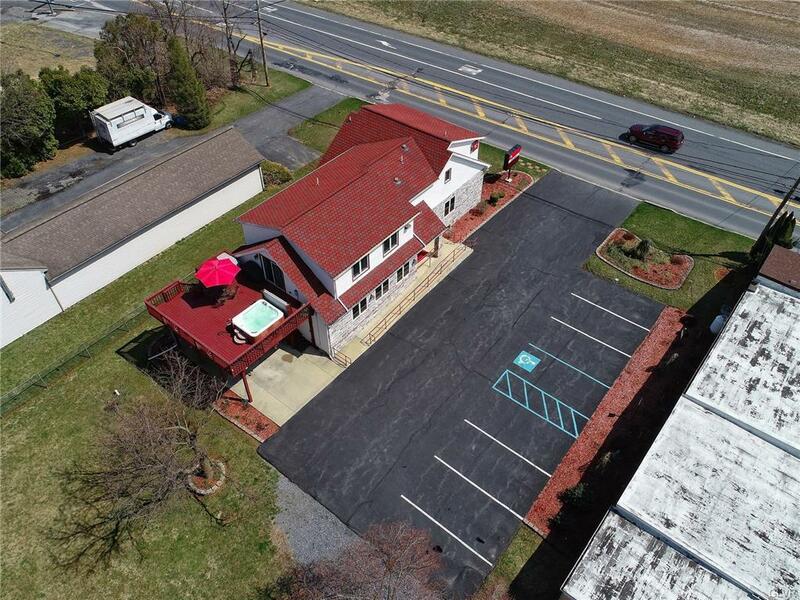 An amazing location for any commercial business on heavily traveled Airport Road in picturesque East Allen Township just a few minutes over the Hanover Township border. 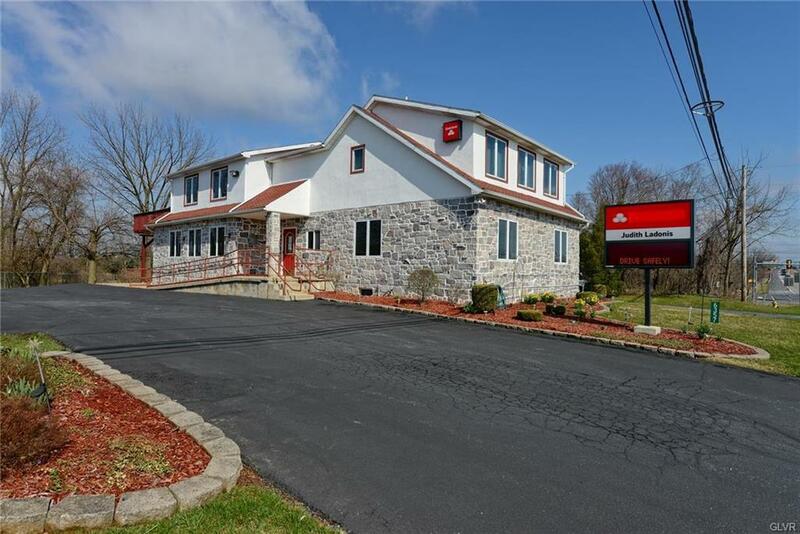 This building most recently used as a professional insurance agency, is zoned to allow many uses and offers beautiful space inside on both the first and second floors! The first floor is a professional office space that has multiple offices, conference room and office kitchen. Upstairs you will find not your typical apartment above commercial space, this is the size and layout of a full house complete with a gorgeous kitchen with granite center island. The kitchen offers an abundance of cabinetry and counterspace plus convection oven and downdraft vent! The home also offers solar tube offering the perfect touch of natural sunlight! The home also has glass doors leading to a large deck that offers hot tub overlooking mountain views in the distance! 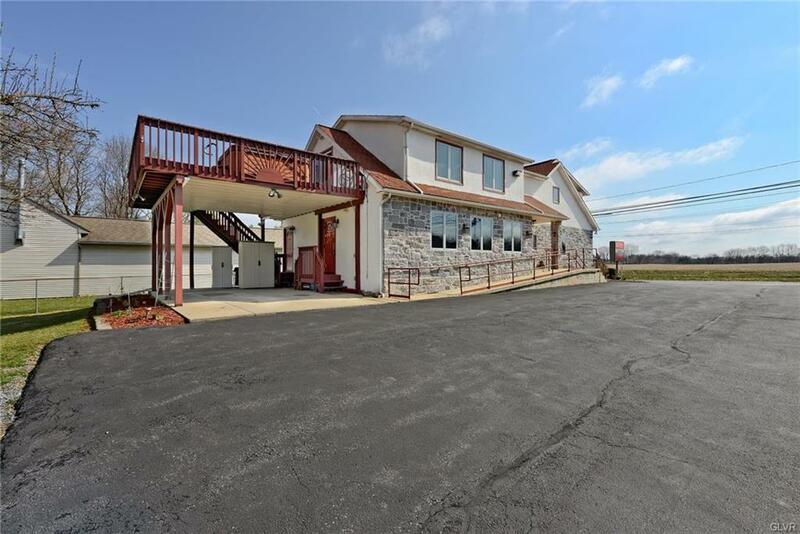 See everything this amazing location has to offer today!